Beginning in the 18th century, melodrama was a technique of combining spoken recitation with short pieces of accompanying music. In such works, music and spoken dialogue typically alternated, although the music was sometimes also used to accompany Ariadne auf Naxos (1775) and Medea (1778). The sensational success of Benda's melodramas led Mozart to use two long melodramatic monologues in his opera Zaide (1780). Other later, and better-known examples of the melodramatic style in operas are the grave-digging scene in Beethoven's Fidelio (1805) and the incantation scene in Weber's Der Freischütz (1821). Within the context of the Kytice of Karel Jaromír Erben. The romantic composer Zdeněk Fibich in particular championed the genre as a means of setting Czech declamation correctly: his melodramas Štědrý den (1874) and Vodník (1883) use rhythmic durations to specify the alignment of spoken word and accompaniment. Fibich's main achievement was Hippodamie (1888–1891), a trilogy of full-evening staged melodramas on the texts of Jaroslav Vrchlický with multiple actors and orchestra, composed in an advanced Wagnerian musical style. Josef Suk's main contributions at the turn of the century include melodramas for two stage plays by Julius Zeyer: Radúz a Mahulena (1898) and Pod Jabloní (1901), both of which had a long performance history. The C.H. Hazlewood. The novels of Wilkie Collins have the characteristics of melodrama, his best-known work The Woman in White being regarded by some modern critics as "the most brilliant melodrama of the period". 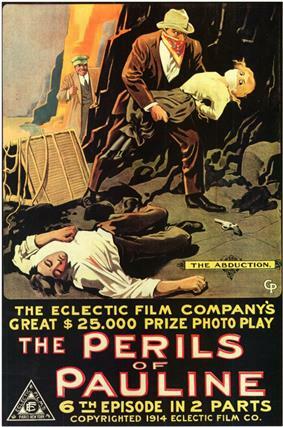 The villain is often the central character in melodrama and crime was a favorite theme. This included dramatizations of the murderous careers of Maria Marten in the Red Barn and the bizarre exploits of Spring Heeled Jack. The misfortunes of a discharged prisoner is the theme of the sensational The Ticket-of-Leave Man (1863) by Tom Taylor. Some would argue that melodrama has left the Western scene in television and movies. However, it is still widely popular in other regions, particularly in Asia and in Hispanic countries. Melodrama is one of the main genres (along with romance, comedy and fantasy) used in Hispanic television dramas (telenovelas), particularly in Mexico, Colombia, Venezuela, Argentina, Bolivia, and Brazil, and in Asian television dramas, particularly in South Korea, Japan, Taiwan, China, Pakistan, Thailand, South India and (in a fusion of the Hispanic and Asian cultures) the Philippines. Expatriate communities in the diaspora of these countries give viewership a global market. ^ Costello, Robert B., ed. (1991). Random House Webster's College Dictionary. New York: Random House. p. 845. ^ Stevenson, Angus; Lindberg, Christine A., eds. (2010). New Oxford American Dictionary, Third Edition. New York: Oxford University Press. p. 1091. ^ Pickett, Joseph P., ed. (2006). The American Heritage Dictionary of the English Language, fourth edition. Boston: Houghton Mifflin. pp. 544, 1095. ^ a b Singer, Ben (2001). Melodrama and Modernity: Early Sensational Cinema and Its Contexts. New York: Columbia University Press. pp. 44–53.